Accidental Feminists is a celebration of the women who came after the Australian women who won the right to vote. These secondwave feminists grew up earning money most of their lives, a fact that is phenomenal in itself. This era introduced baby boomers, the pill and tampons. These women, whether consciously or not, paved the way for women today just by being in the workforce. Becoming economically independent brought a huge range of benefits, including freeing women from unhappy marriages. But has society actually kept pace with women? Jane Caro is the winner of the 2018 Walkley Women’s Leadership in Media Award, won for her focus on ‘ageing’ and the ‘illegitimacy of women in high office’. Caro explores the gender pay gap, the idea of ‘merit’ and asks why the caring jobs are paid and valued less. Why does society devalue caring work so much? As Caro demonstrates, most women have to fit into male-curated workplaces where most men are only responsible at the office, while women are sacrificing seniority and job security for flexibility. Study after study shows that the bulk of caring for children, emotional labour, and housework still fall to women. Accidental Feminists also shines a light on the women who are struggling to survive on the Newstart Allowance and those with fewer savings and less superannuation because of the sacrifices they have made due to care-giving responsibilities. 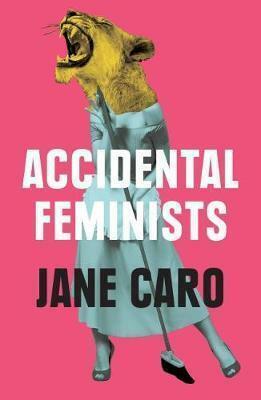 Caro scrutinises the often-denied economic barriers women encounter and draws particular attention to the fact that women over fifty often face the double whammy of sexism and ageism, especially when job-seeking. Accidental Feminists is a powerful reminder that women have to fight to be taken seriously. It’s a must-read for all people, of all ages, who care about equality. Cindy Morris is from Readings Carlton.